This is the view from a window a few yards from where a fatal bullet was fired at about 6:01 p.m. April 4, 1968, killing America’s best known Civil Rights leader, the Rev. Dr. Martin Luther King Jr. 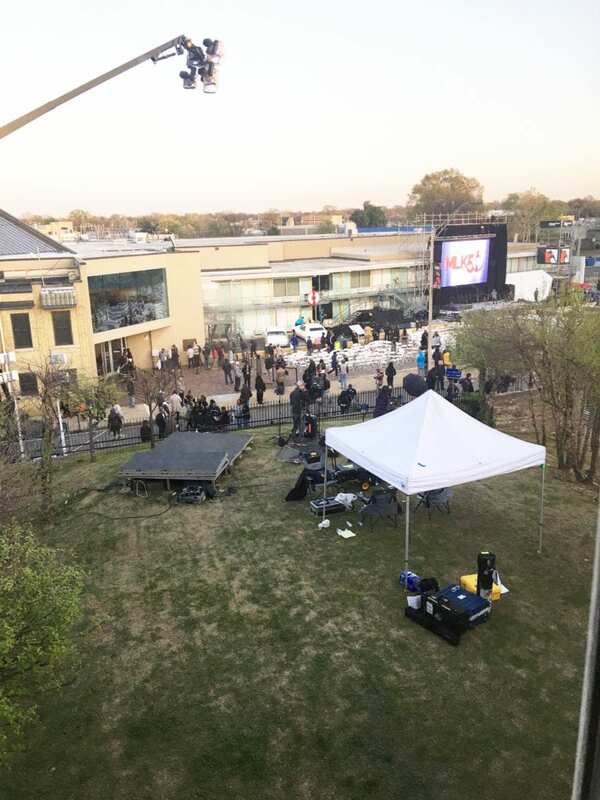 In the foreground on the grassy yard is a tent used by a TV news crew for coverage of the 50th anniversary of the assassination. A white wreath with red decoration is placed at the front of the room where King was staying in the Lorraine Motel.